Patchwork Bag by Annette Cooke….. 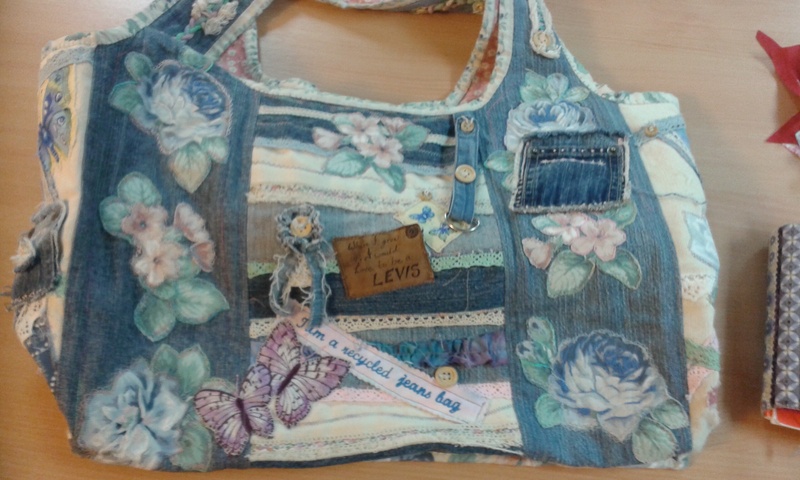 Yesterday I saw this fabulous ‘recycled denim jeans’ quilted patchwork bag at the Wednesday ‘Sit & Stitch’ Session at Stitchcraft in Grantham. 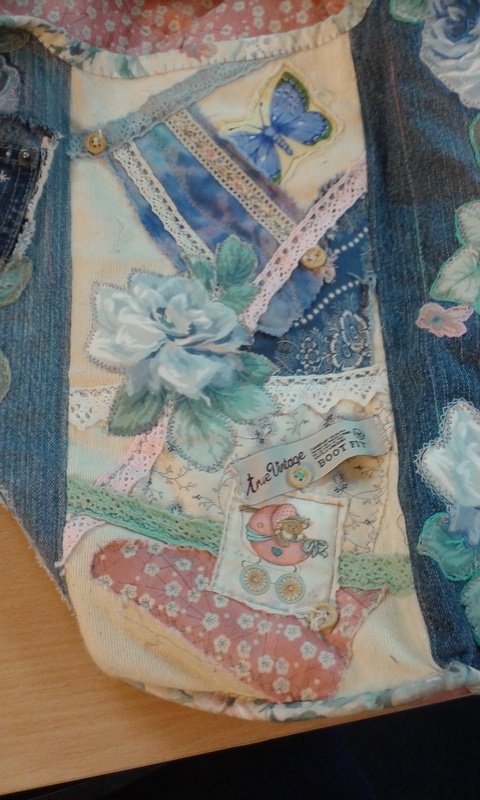 It was made by Annette Cooke, one of the local crafters, and is covered in all sorts of beautiful, vintage style applique and embellishments. 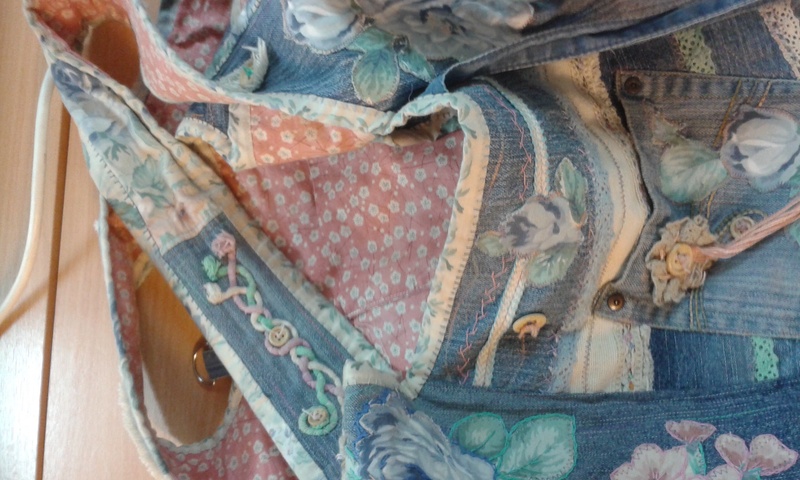 Detail showing the contrasting lining. My friend Molly and I spent the day sewing with Annette and her friends and soon discovered we had chosen the ‘lively’ table to sit at! Thanks for making the two of us so welcome. We are looking forward to seeing you all again very soon and hopefully I will get to include more of your work on here.